Dermalogica Skin Hydrating Masque Review: Does It Really Work? Dermalogica sebum clearing masque detoxifies skin to prevent breakouts caused by clogged pores. The mask exfoliates the skin naturally, removes excess oil, and promotes a clearer complexion. Containing salicylic acid known for assisting in the regeneration of dead skin cells, the clays included in the mask also absorb impurities for better-looking skin. Dermalogica sebum clearing masque removes excess oil from the skin, as well as dirt and impurities that clog pores. It can be used by all skin types as either an overall mask, a spot treatment for problem areas, or solely in the T-zone depending on one’s skin type. Dermalogica is a skincare product company that also provides skincare consultations, works with spas, and works with beauty and skincare professionals. Dermalogica sebum clearing masque is sold in containers of 2.5 fluid oz at a cost of $49. Salicylic Acid (0.50%): Beta hydroxy acid proven effective in combating acne. An exfoliant that removes dirt, oil, and impurities form the skin, can even the skin, and hydrate the skin. Kaolin: China clay. Enables dirt and excess oil to stick to the mask so it can be washed away. Bentonite: Absorbs impurities and oil from the skin. 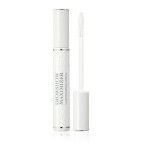 Stabilizes emulsions, and suspending agent. Glycerin: Hydrates skin and balances water levels. Butylene Glycol: Preservative that keeps products from drying out. Panthenol: Used for eczema, itchy skin, acne, diaper rash, and insect bites. Caffeine: Contains antioxidants and refreshes skin. Menthol: Cools and refreshes the skin. Known to increase photosensitivity. 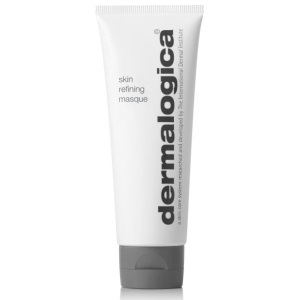 Dermalogica sebum clearing masque can be used by all skin types as a spot treatment, for the T-zone, or the entire face. 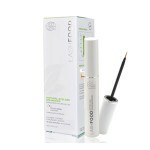 Removes excess impurities and oil that clogs pores, leaving the skin clean and refreshed. 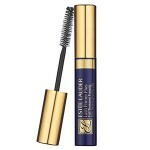 Data that verifies claims made about the product is not provided or mentioned in layman’s terms. Not all amounts of ingredients are disclosed. The mask may be harsh on people who have very sensitive or dry skin. Menthol, and ingredient used in the mask, is a known skin sensitizer. Clean face and throat. Apply a thin, even layer of the mask onto the neck and face, avoiding the eyes. May be used solely for the T-zone or as a spot treatment. Leave on skin for up to 10 minutes. Rinse off with warm water and pat skin dry. Dermalogica sebum clearing masque removes excess dirt and oil from the skin to de-clog pores, prevent breakouts, and leave skin feeling clean and fresh. The inclusion of salicylic acid makes the product an effective cleanser, but the product also includes menthol-a known skin sensitizer. Dermalogica offers a 30-day return policy on its products, starting from the date of purchase. Customers must obtain prior approval before sending returns in. Long eyelashes are a coveted feminine trait that has caused women to go to great lengths to achieve longer, fuller looking lashes. While studies have shown that eyelashes take longer to grow than, say, hair on the head, a daily serum can help speed up the process. 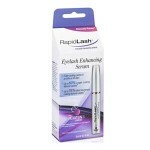 With a myriad of eyelash products available on the market today it may be hard to find a product that actually works. 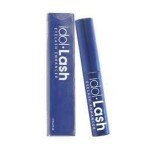 The ingredients should be backed by clinical studies and proven to enhance, condition, moisturize and strengthen eyelashes and eyebrows.